What's New for the 2018 Kia K900? When you are in the market to purchase a new luxury sedan, you may be drawn to the impressive style and value of the 2018 Kia K900. 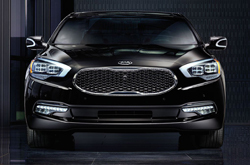 The K900 has been changing the landscape of the luxury car market since its release in 2013, and Kia has decided to keep the 2018 model unchanged in comparison to last year's model. The new style stunning style and features of the 2017 K900 are sure to fascinate all drivers. The new K900 continues to offer a sublime interior design with a huge rear seating area for the comfort of your passengers. From bumper to bumper, it is loaded with quality features. The exterior of the 2018 model beautifully combines refinement with sporty athleticism. It is marked by eye-catching intake flairs, a powerful grille, sleek headlights and other features. A great place to check out the latest K900 and to take it for a test drive is at Joe Myers Kia. When you take a closer look at what the 2018 K900 offers, you will see that two stunning trim levels are available for drivers to compare. The two options are the Premium and the Elite. Both of these trims are well-equipped with a full range of standard features and powerful engines, but the Elite is the superior trim level because of its robust features and enhanced powertrain. 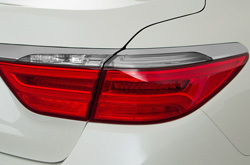 Regardless of the 2018 trim level that you select, you will notice that your new Kia features a HomeLink remote transmitter, dual zone climate control, leather seating with fold-down seats in the rear for enhanced cargo space, power windows and door locks, keyless entry, distance pacing cruise control, a navigation system with a full-color LCD monitor, robust internal memory, a CD player, a sound system with Lexicon speakers, Bluetooth wireless connectivity, a heated steering wheel with multi-position adjustments and memory controls and more. 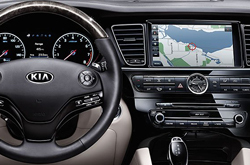 When you are shopping for a luxury sedan, you understandably expect more than a well-designed interior. The 2018 Kia K900 has the power that you desire in your next vehicle. 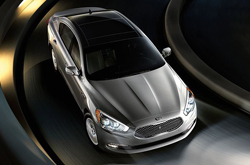 In the Premium trim level, you will enjoy 311 horsepower from a 3.8-liter, V6 engine. In the Elite trim level, you will benefit from 420 horsepower from a 5.0-liter, V8 engine. To further enhance your driving experience in the K900, Kia has loaded this sedan with superior torque, exceptional all-season tires, a four-wheel independent suspension system, anti-roll bars for the front and rear, stability and traction controls, a variable intake manifold, a sports manual shift function and an eight-speed automatic transmission. Test driving the 2018 K900 at Joe Myers Kia gives you a chance to compare both engine configurations personally. While Kia has spent ample time and energy designing a truly stylish and practical luxury sedan that pampers you and your passengers, it is has not overlooked the importance of safety. 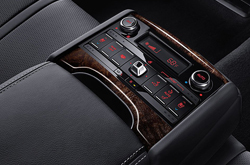 In fact, the K900 is enhanced with exceptional safety features available as standard equipment. This includes front and side airbags as well as overhead airbags and passenger deactivation sensor for the front side airbag. It also includes a heads-up display, braking assistance, perimeter approach lights, four-wheel antilock brakes, anti-whiplash head restraints for all passengers, xenon discharge lamps, a blind spot alert function, sun blinds, a parking camera, a trip computer, rear and forward collision mitigation, a lane departure warning system, a monitor for low tire pressure and automatic headlights. To learn more about what the 2018 Kia K900 offers, stop by Joe Myers Kia at your convenience. Please call 844-879-9581 for further assistance.